At Non-Traditional Student Services, OUR GOAL IS ENSURING YOU REACH YOURS! The adult and transfer student population is growing and we have a place for YOU! SIU Carbondale is a nationally ranked research University so credentials earned here matter. If you are among the 75% of college students combining school with an already busy life, we invite you to take advantage of our services to help lighten your load and create a great college experience on your journey to degree completion. "The knowledge and advice [of NTSS staff] is what made me realize that I could still do this [earn a degree] as a single parent." "I am thankful that NTSS cares so much. I am pleased to be a part of this mentoring environment and this university, thanks!" "I am really grateful for the support received for me and my family. Thanks very much!" "My first semester at SIU as a non-traditional student was rough. I went through a lot, and NTSS was there for me. As an older student, I simply could not achieve my goals without NTSS." Every contact Ive had with NTSS whether by email, phone, or in person has been positive and encouraging since my 2013 spring orientation. 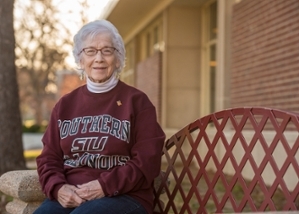 "Transition support for me and my son was a determining factor in choosing SIU." SIU has a Program for You! We understand that the conflicting demands of working, attending class, parenting, care-giving, and the other obligations that you may have can be challenging. Non-Traditional Student Services serves as a guide and support by assisting students with available resources and providing opportunities for students and their families to enter into a community of encouragement and support. If you are just getting started, our Checklist for Admission/Transition and Getting Started page should help. Southern Illinois University Carbondale offers more than 200 majors, minors, and specifications. Whatever your passion or interest, SIU has a program for you! 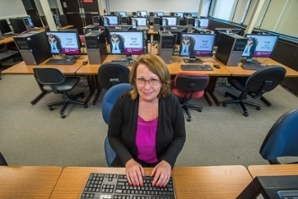 Did you know that SIU also has a number of online and off campus courses? Check out SIU Extended Campus for options to fit your schedule. Get started on the road to earning your degree today! The Dean of Students unit wants all students to be aware of this important information. You can find the guide here.